With the winters approaching, most of us will switch on the furnace in our homes to keep our families and ourselves warm. 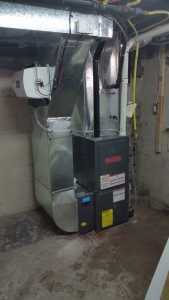 Following a simple furnace maintenance checklist makes sure the furnace works smoothly and efficiently. Switching On The Furnace While The Weather Is Still Warm: The furnace may have faced some damage during the summer so it is always ideal to test the furnace before winter fully sets in. Cleaning The Filters: Clean the filters thoroughly before switching on the furnace as the filters can gather dust and dirt over a period of time. Furnace Cleaning: Apart from the filters, the ducts and vents also collect debris, which can be a fire hazard if not cleaned properly. Hiring a professional cleaning expert helps in cleaning hard to reach areas and having peace of mind that the furnace is free from any dust buildup and soot. Keeping The Vent Area Free From Obstacles: Move any furniture or toys or combustible objects away from the vents as they may obstruct the flow of heat, pushing the furnace to work harder and thereby increasing your electricity bills. Making sure all the detectors are working: Check the smoke and carbon monoxide detectors in your house as in some rare cases, when you first turn on the furnace it may emit carbon monoxide and if the detectors are faulty, it can cause great havoc on your family’s health. 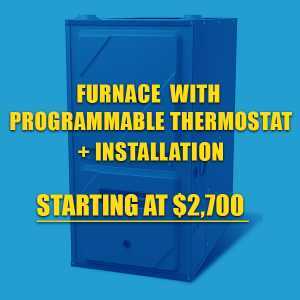 Yearly furnace maintenance: Getting yearly furnace maintenance done by a professional at least once a year can be very helpful as a technician may do an inspection of the furnace to check for corrosion or rust and replace filters and evaluate general wear and tear. 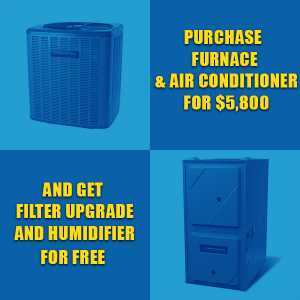 A professional can also tell you if something needs to be fixed or if it is time to buy a new furnace.